Volkswagen presents the five star safety rating of the VW Golf in this award-winning series of print advertisements from DDB Dusseldorf, Germany. 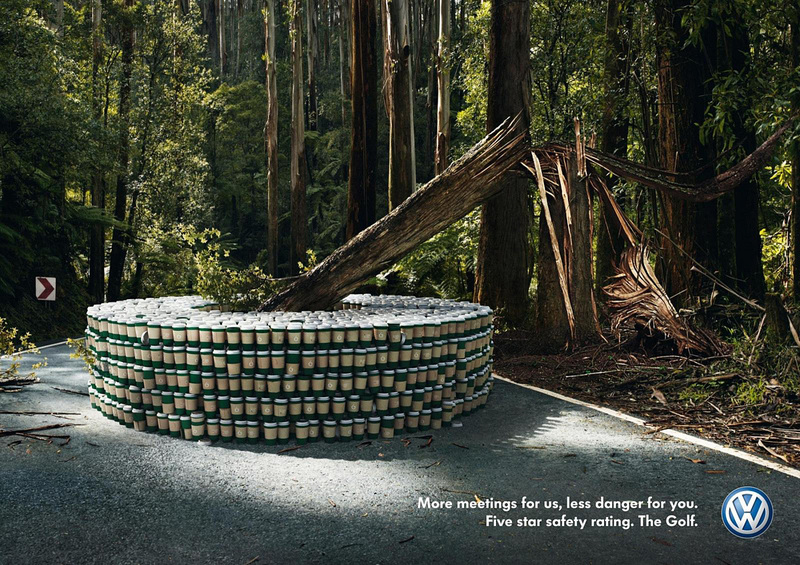 The ads tie the “Less Danger To You” tag line to a rock surrounded by waste paper baskets (more brainstorming for us), a moose surrounded by takeaway noodle boxes (more late nights for us) and a tree surrounded by takeaway coffee cups (more meeting for us). 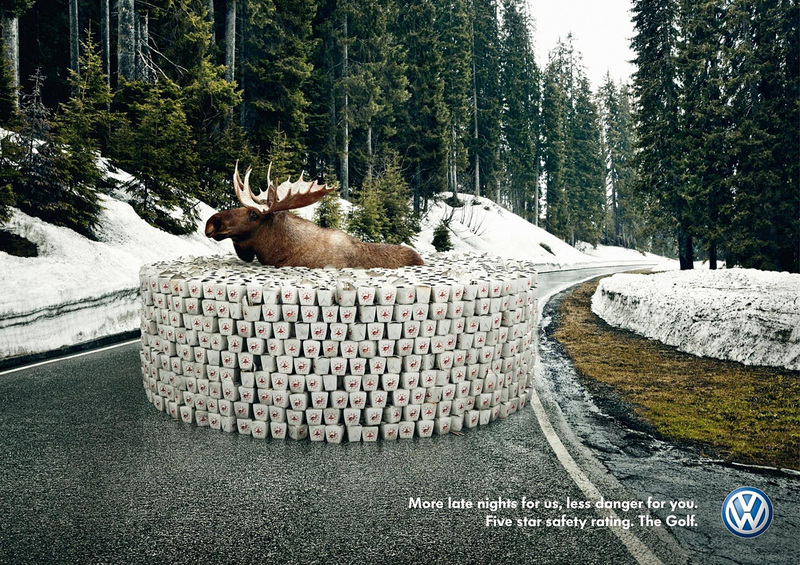 The campaign won a Gold Press Lion and a Bronze Outdoor Lion at Cannes International Advertising Festival. 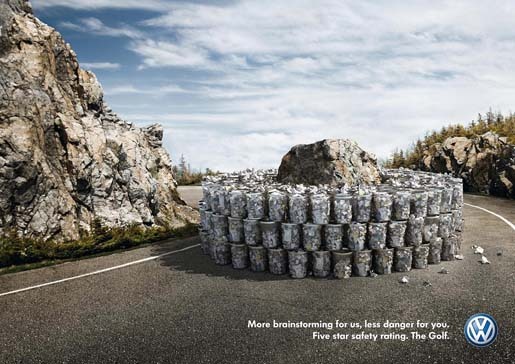 The Danger campaign was developed at DDB, Düsseldorf by chief creative officer Amir Kassaei, executive creative director Eric Schoeffler, creative directors Oliver Kapusta and Alexander Reiss, copywriter Mihai Botarel, art director Dan Strasser, art buyer Anette Gruetter, advertiser’s supervisors Veronika Ziegaus, Luca De Meo, account managers Silke Lagodny, Marie-Louise Jakob, with photography by Patrick Frischknecht, Okapia, Maground, Getty and Goodstock, and retouching by The Scope.